From the moment you step foot on our showroom floor, you’ll see why we’re known as one of the best car dealerships near Dayton, OH. We’ve got low prices on hundreds of new Hondas and used cars for sale. We’ve got an exceptional crew of certified Honda service technicians and car parts installers. We’ve got numerous Honda deals and used car specials that change regularly. It’s been this way for years, and there’s no end in sight. But what truly sets us apart from other Dayton car dealers is this: Our staff of dedicated Honda salespeople and auto finance specialists, all of whom are committed to serving you with a pearly white smile and a firm handshake. No matter your credit history or budget, our team proudly works with you, not for you, to find the perfect vehicle at the perfect price. 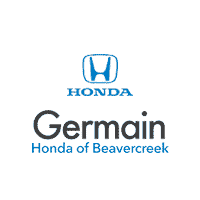 When you shop at Germain Honda of Beavercreek, you’re guaranteed a car-buying experience that knows no rival. Ready to see what makes us tick? Read our car dealer reviews, or simply call or visit our Beavercreek Honda dealership at 2300 Heller Drive. We look forward to showing you what Germain Honda is all about.